Undergraduate students enrolled at UCSC may enroll, without formal admission and without payment of additional university fees, in courses at another UC campus on a space-available basis at the discretion of the appropriate campus authorities on both campuses. Simultaneous enrollment refers to UC courses not offered through UC Online. Additional information about online UC courses is available through UC Online. Currently registered students must meet all of the following requirements to be eligible to enroll in one class through the Cross-Campus and Simultaneous Enrollment Programs: completion of a minimum of 12 credits at UCSC as a matriculated student, be in good academic standing, and demonstrate appropriate academic preparation as determined by the host campus. Full-time students must be enrolled in at least ten credits at UCSC. University Part-Time students must be enrolled in at least five credits at UCSC and may enroll in up to ten credits total. Information about Cross-Campus Enrollment is available through UC Online. Applications for Simultaneous Enrollment are available at the Office of the Registrar, 190 Hahn Student Services Building or online. For more information, call (831) 459-4412 or e-mail sp-regis@ucsc.edu, or visit the Web at Simultaneous Enrollment. This program permits a student who is currently enrolled in a California community college or a California State University campus and who meets certain eligibility criteria to enroll in one undergraduate course at UCSC each term, on a space-available basis. For more information, go to Intersegmental Cross-Enrollment. UCSC has exchange programs with the University of New Hampshire (UNH) and the University of New Mexico (UNM). Both schools give students the opportunity for an educational experience in an entirely different environment. For more information, go to Domestic Exchange Application. The Education Abroad Program (EAP) offers undergraduate and graduate students the opportunity to study at more than 140 host universities and colleges in 34 countries as part of their regular UC academic program. For more information, go to UC Education Abroad Program. 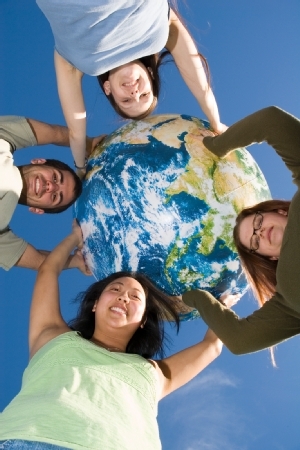 The Division of Global Engagement cultivates and maintains partnership agreements with institutions and agencies around the world to support and promote the internationalization of the UC Santa Cruz campus. For more information, go to Global Engagement. UCSC students may take advantage of educational opportunities at other campuses of the University of California through the Intercampus Visitor Program. This program enables students to take courses not available at Santa Cruz, to participate in special programs, or to study with distinguished faculty at other campuses. Students can access the application by visiting the Intercampus Visitor Program website. Step-by-step instructions for completing the application are online. The University of California Center Sacramento advances UC's mission of teaching, research and public service with an integrated program to train future state leaders, to address challenging public-policy issues confronted by the nation and state, and to carry out the university’s mandate to assist state government. UCSC students spend a quarter in Sacramento taking courses and interning with students from the other UC campuses. Additional information about the program and applications are available at UC Center Sacramento. The UCDC Program at the UC Washington Center in Washington, D.C., supervises and supports students who pursue internships and academic study in the nation’s capital. The program is open through a competitive application process to upper-division students in all majors. For more information, go to UCSC's UCDC Program.